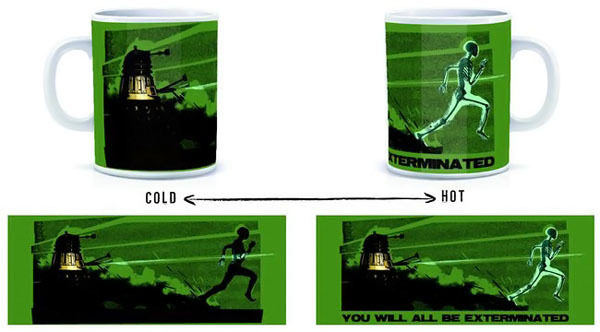 This awesomely geeky Doctor Who Heat Changing Skeleton Mug is a must have for serious Doctor Who fans. 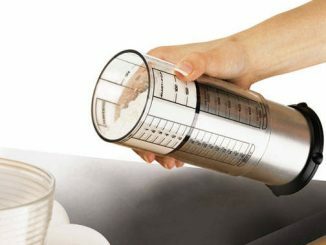 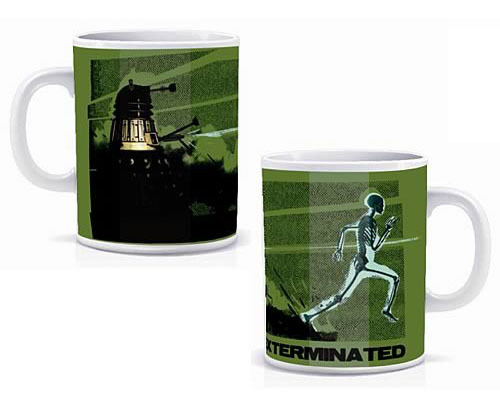 Now you can drink your morning cup of coffee with the Daleks. 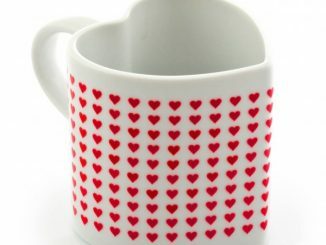 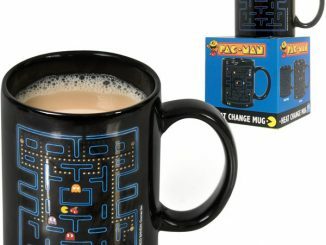 This 11-ounce mug is great. 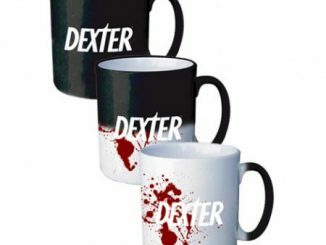 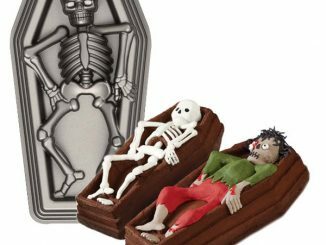 It starts out as a Dalek and then when you fill it with hot liquid, a skeleton appears as if shot by the Dalek. 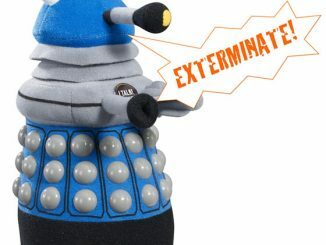 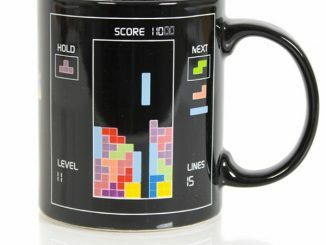 Fittingly this mug says “You will all be exterminated.” That guy can get fried again and again with every cup of coffee. 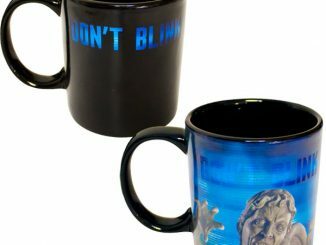 This is one of the coolest Doctor Who mugs ever and ready for pre-order for just $9.99 from Entertainment Earth. 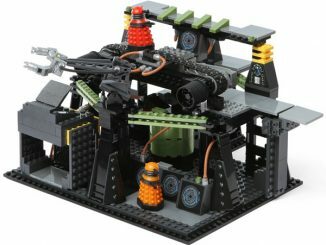 Also available for pre-order from the Bigbadtoystore.com.